I'm not a fan of boiled chicken. However, I am not one to waste either. I often have it in my freezer after I make stock, but if I am out, my preferred method of cooking the chicken for this recipe is to roast it. Next place your chicken onto a foil lined baking sheet. Drizzle with a little extra virgin olive oil. Place in the 325 degree, preheated, oven for 30 minutes. While the chicken is roasting you can chop the cashews, celery, and green onions. Once the chicken has finished roasting remove it from the oven and set it to the side to cool. After it has had some time to cool, you can cut it into small, bite-sized, cubes. In a mixing bowl, you can combine the celery, green onions, nuts, dried cranberries, and chicken. To that add the mayonnaise. And now, add the curry powder. Give everything another mix and cover with cling wrap. Place into the refrigerator for 1 hour, until chilled. You will want to warm your tortilla shells for 10 seconds in the microwave to make them more pliable. Next place the lettuce on the tortilla shell. Then place a couple scoops of the chicken salad on top of the lettuce. 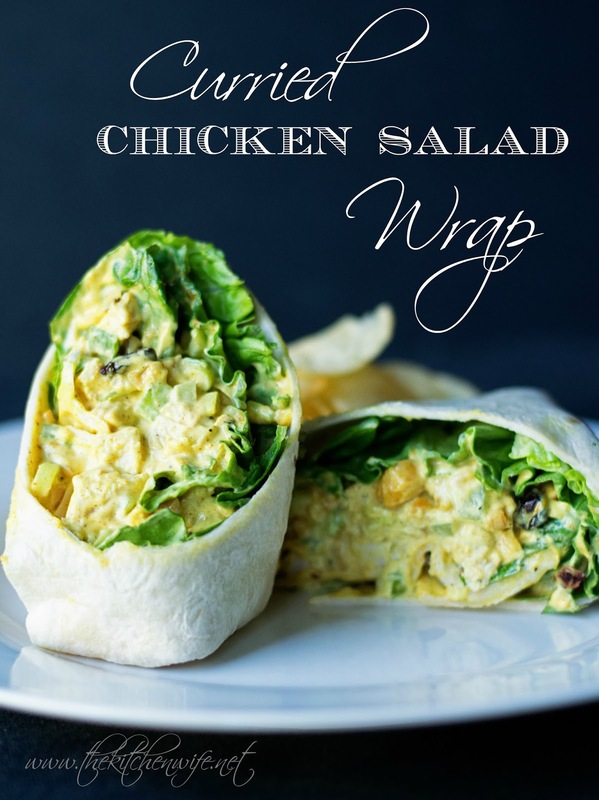 These Curried Chicken Salad Wraps are the PERFECT quick and easy summertime meal. You can make this in advance as well so that the only thing have to do when it comes time to eat is assemble. This is a flavorsome meal that I know you are going to love, so get in the kitchen and make it TONIGHT! Place the chicken onto a foil lined baking sheet and season with salt and pepper. Drizzle a little oil over the chicken and place in to the oven to cook for 30 minutes. Once cooled you will cut the chicken into small, bite-sized pieces. In a mixing bowl combine the celery, green onions, cashews, cranberries, chicken, mayonnaise, and curry. Mix it all together then taste for seasoning. If it needs it, add a little more salt and pepper. 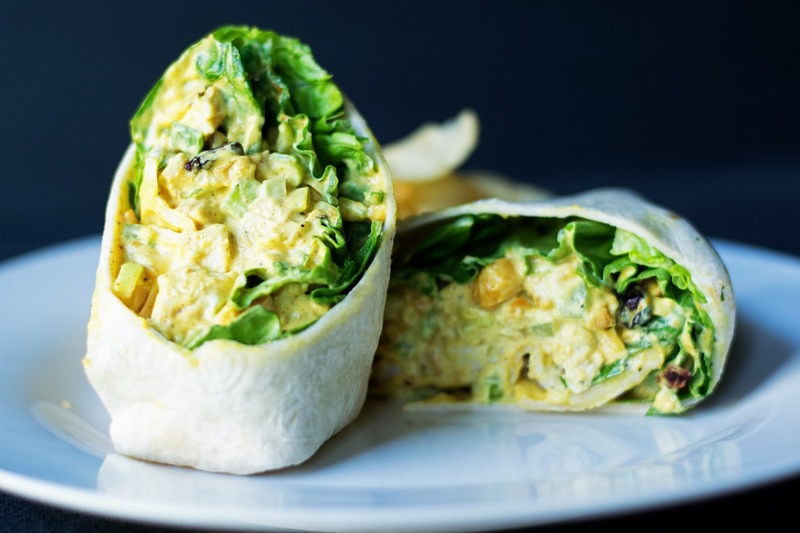 To assemble the wrap, heat the tortilla in the microwave for 10 seconds. Place the lettuce on the wrap. Place a couple scoops of the chicken salad on the lettuce. Fold over the sides of the tortilla then roll the wrap up. Cut the wrap in half, at an angle.